Apple, among the world’s most-valuable tech companies, and Reliance Industries (RIL), India’s second-largest conglomerate, are looking at widening their distribution tie-up ahead of the iPhone 7 launch in the country next month. The move is significant since an arrangement such as this has never been seen in the domestic consumer electronics market, where smartphone companies generally depend on a network of online and offline retailers for sales. The tie-up will see Apple capitalising on Reliance’s 120,000-strong dealer network across the country to push its products, in addition to Reliance Digital stores, where iPhones are already available. Effectively, Apple will get a far greater reach than the roughly 10,000 offline stores (this includes traditional and modern trade) where the brand is currently sold. The development is also key since offline retail in recent months has been gaining ground as consumer electronic companies respond to customer needs as well as fight blatant discounting by e-tailers. Emails sent to Apple and RIL elicited no response till the time of going to press. A recent report on multi-channel retailing by PricewaterhouseCoopers says that 43 per cent consumers surveyed in India prefer to buy electronic products such as smartphones offline. The reason being the ability to “touch and feel” as opposed to merely “seeing” and therefore making informed purchase decisions. For Apple, the tie-up with Reliance, which was first initiated this May when company CEO Tim Cook came visiting India, is critical since it will ensure that iPhone sales can grow even further in the country. For the last two and half years, sales of iPhones in India has grown significantly as domestic consumers increasingly warm up to the brand, considered aspirational. While calendar year 2015 saw some nearly 2 million iPhones shipped into India, this year between January and June, shipments were in the region of 1.5 million units. 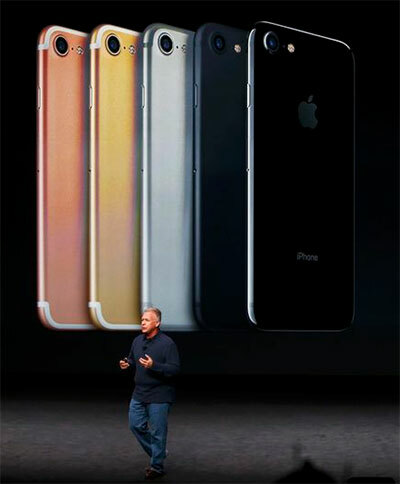 Apple plans to touch the 3-million mark in terms of iPhone shipments by the end of 2016, sector analysts say. Recent research and market reports also suggest that Apple has managed to feature among the top 10 selling brands in tier 1, 2 and 3 markets. This despite its premium tag and pricing. In smaller towns and cities, offline gains importance, say experts. “The trend so far indicates that the affinity of high-end Indian consumers towards Apple products in India is likely to only grow in the near term. Whether it’s the Apple iPhone 7 launch or Tim Cook’s maiden visit to India, Apple is hitting the right notes. The recall of Samsung Note 7 only gives Apple a leg-up in its India push,” Krishna Mukherjee, analyst, CyberMedia Research, said.